Making mistakes when it comes to your home security can compromise your safety, leaving you vulnerable to burglary and theft. When choosing the best home security system for you, avoid making these common security mistakes and ensure that you properly safeguard your home and loved ones. Mistake: Buying The Wrong Home Security Systems. There is no “wrong” home security system, however, what works for one person may not work for you. This is precisely why there are various types of security systems on the market. In order to choose the best system for you, do your research. You want to look at different reviews from reputable sources. Search the security system you are eyeing, or the type of system you’re looking for. In addition to reviews, pay attention to any complaints from real buyers that you may come across. There may be legitimate issues that you should know about before making a purchase. Lastly, to help you make the right decision, and possibly save you time, you should speak with a security professional. With expert knowledge and experience under their belt, a security professional will have a better idea of which type of security will best suit your needs. Mistake: Not Testing Your Configurations. Of course, these are just some of the many components you may or may not want to add to your system. 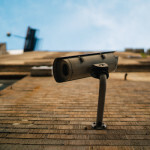 Whether you have one security camera or 20 different cameras and sensors, you should test all of them to ensure proper configuration and performance. For example, you may not know that your camera is poorly positioned or that your alarm system was not properly activated. Try simulating a break-in with a friend, family member, or your pet to determine the capabilities of your home security system. Most criminals are seasoned vets so they probably know how to bypass one of more components of your system, thus having more aspects can help to ensure they are stopped. Mistake: Lack Of/Poor Maintenance Of Home Security System. Your security system should be maintained on a regular basis, whether it’s weekly, monthly, semi-annually or annually – do what’s best for what you need. Maintenance can involve various things such as updating software, changing batteries, changing faulty or defective parts, and more. Professional maintenance can be done annually or semi-annually. You may want to check if your vendor offers any maintenance packages in the service contract. If they don’t, you can enlist the services from a home security inspection company. Professional maintenance ensures that there’s no guesswork in handling, fixing or replacing faulty components of your system. Keep these tips in mind in order to avoid these critical mistakes when shopping for a home security system. If you’re looking for quality CCTV surveillance systems and security cameras for smart prices, feel free to browse our stock online at SecurityCamExpert.com or call 888-203-6294 to speak with an expert today! Find the latest news and updates on our Facebook, Google+, Twitter, LinkedIn, and Pinterest pages. There’s something to be said about low-light security cameras. Because lighting conditions in different environments are not always ideal for surveillance, low-light security cameras enable us to capture respectable footage in these situations. And with new technology, the quality of low-light camera images has vastly improved. 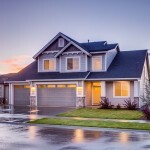 But before you invest in low-light security cameras for your home or business, here are some important facts and tips to know to make the most of your security systems. Here’s some important information in order to make the most of your security systems. Despite the sometimes confusing terminology, the basic components remain the same for all low-light cameras: a lens and sensor and some level of image processing. And to be clear, low-light cameras are different than thermal cameras (which track heat rather than motion or images) or cameras with IR illuminators. A majority of low-light cameras use an IR cut filter, which is a mechanical filter that sits between the lens and the sensor (CMOS chip). The name is derived from its ability to “cut out” or filter out IR illumination during the day to improve color quality. At night, as available light diminishes, it slides out of the way to allow more light to get the sensor, thus improving low-light video quality. In order to help the video quality, it is also captured in black and white. In most cameras the filter is mechanically driven by an algorithm, however, some cameras allow manual control. Because nearly all the cameras contain IR cut filters, it comes down to the lens and the processing to set these items apart from one another. The lens transmits light to the sensor and then the data on the sensor is processed by a processor. The variance among cameras is often in the optics. You want to be sure that both the lens and the sensor are of great quality, otherwise the potential for stellar images will be wasted. Aside from the optics, processing is an important factor in determining the best low-light camera for you. Most manufacturers employ the same OEM processor yet make their own adjustments to them. The ability to control the tuning of an image is crucial as the tuning of an image during daylight will likely not hold up at night or in complete darkness. Pay close attention to image toning, noise suppression, and the ability to maintain color and contrast in low light as these often differentiate one camera from another. Typical IR cameras will capture images between 1 lux and 0.1 lux, however, the latest technologies can allow .01 lux to 0.00001 lux. This means that what would have been a completely black image a few years ago now looks like a near-daytime picture thanks to new low- and ultralow-light sensors. While this achievement is impressive, in reality, there will rarely be any situations where there is complete darkness. Some ambient light will likely be present, whether it is from street lamps, the moon, or even the stars. As discussed, the impressive low-light sensitivity and lux will likely be included in the spec sheets, along with other important features. However, these spec sheets often represent technical specifications as opposed to actual performance. Instead of simply relying on spec sheets, try to find a manufacturer or company that will provide you with a live demo and comparisons. This will give you a better idea of the low-light camera’s performance and whether or not it lives up to your requirements. In addition, third party reviews can give you more insight as well. 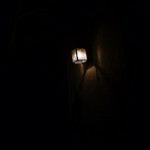 Just because a camera boasts a high megapixel count does not necessarily mean it will produce a better low-light image. With higher resolution and higher megapixels, each pixel becomes a smaller percentage of that sensor. For example, image the sensor has a fixed size, yet the resolution is doubled. The pixels are smaller, thus, the sensor for each pixel is also smaller, increasing the amount of sensitivity needed to maintain the same level of quality. The speed of the lens is important and investing in a fast lens and better optics is crucial. The lens determines what information reaches the sensor, and, because of this, you get what you pay for when it comes to lenses and optics. Proper positioning of your security cameras is critical. Focus on what you want to capture and the level of detail you need when choosing the location of your cameras. Position surveillance cameras so that the common range of motion is moving across the field of view rather than having common movement coming toward the camera. Also, avoid bright light pointing directly at the lens – this can cause flare or “fog” on the image. Consider the field of view in terms of distance. The level of detail from the camera is highly dictated by how close the camera is and how much it’s zoomed in. And when it comes to distance, you want the right combination of lens and camera that factors in the distance from the area you are trying to monitor. If you need to detect motion from long distances, your best bet would be to switch to thermal cameras. Activity will be detected, however, it will be harder to determine whether it is a person or an animal. Share your own knowledge of low-light surveillance cameras with us and your peers on Facebook, Google+, Twitter, LinkedIn, and Pinterest. To shop our selection of quality CCTV surveillance systems and security cameras, please visit SecurityCamExpert.com or call 888-203-6294 today! When it comes to security camera systems, you can invest in the best, most advanced equipment, but choosing poor locations for your security cameras can render your system ineffective. In order to choose the best placement for your surveillance cameras, you should consider the layout of your property and which areas need monitoring. Most home or business owners target high traffic areas and entryways. Here are more helpful tips for installing your security cameras. The most commonly targeted entryways are the front door, back door, and first-floor windows, so be sure these are under video surveillance. In addition, a security camera at the front door can act as a digital peephole since you can access your live feed to see who’s at the door. You can place it above the door or window frame facing downward so that it covers the area a few feet in front of the opening. Or you can place it inside your home on the window sill overlooking the front yard. 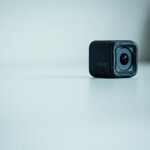 The type of camera will also help determine where it should be placed. Surveillance cameras with a focus range of around 45 to 75 degrees should be aimed at specific areas (ex. doorway, garage). Wide angle cameras should be placed where they can view 75 to 180 degrees without any obstructions. For security cameras that can rotate, be sure to check with the manufacturer for information on how much unobstructed viewing area is necessary. 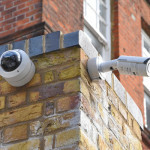 For surveillance cameras being installed outdoors, be sure they are waterproof, vandal proof, and have night vision capabilities in order to record overnight. Motion detection lights around the perimeter of your home can also help capture quality recordings as well as deter burglars from approaching. In addition, when placing security cameras outdoors, you want them to be visible yet out of reach. By installing them at least 9 feet above the ground, you decrease the likelihood of tampering, vandalism, or theft of your cameras. Do you have any security camera placement advice or tips to share? Connect with us on Facebook, Google+, Twitter, LinkedIn, and Pinterest. Shop our great selection of quality CCTV security cameras and surveillance systems for your home or business. Visit us online at SecurityCamExpert.com or call 888-203-6294.